The Duo Battery Charger for Canon LP-E6 Batteries charges two Canon LP-E6 batteries simultaneously while also charging 1 other USB-powered device (such as a phone). It features an LCD display that graphically shows charge status for both batteries and has built-in protection against overcharging. Check the charge of a battery with the convenient “Test” button, which also displays the battery’s voltage. Please note that this spare charger is not recommended for LP-E6N batteries. 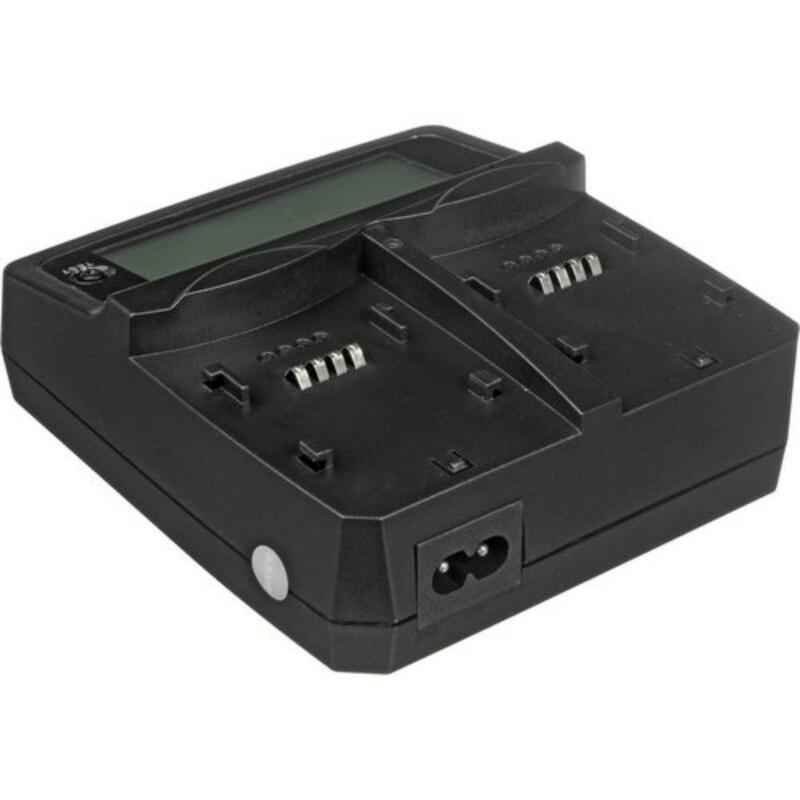 Please see the ProCube Dual Canon LP-E6/LP-E6N Battery Charger instead. Also note that this rental does not come with spare LP-E6 batteries. They are rentable separately. • This charger comes equipped with a USB power port for charging phones and other accessories. • This charger does not come with USB cables or car charging cables. • This spare charger does not come with spare LP-E6 batteries. • This spare charger is not recommended for LP-E6N batteries. 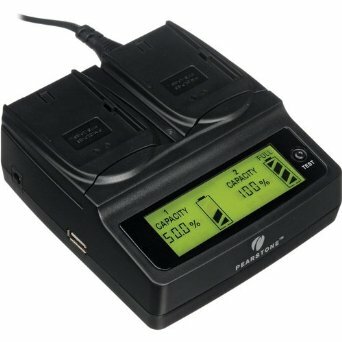 Please see the ProCube Dual Canon LP-E6/LP-E6N Battery Charger instead.